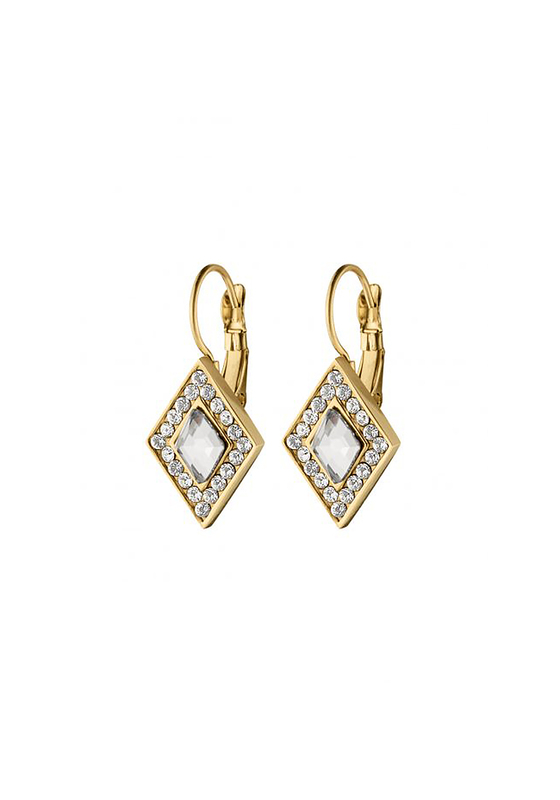 These dazzling Doha French hook earrings by Dyrberg Kern will look amazing with the complimenting Aysha neckline for a contemporary new season style. These dazzling Doha French hook earrings by Dyrberg Kern will look amazing with the complimenting Aysha neckline for a contemporary new season style. Accented with dazzling facet cut crystals for a sparkling finish.